Today's lease sale attracted increased scrutiny because of Zinke's recent comments while defending his department's decision to open nearly all of the U.S. outer continental shelf to drilling under a revised five-year offshore program. 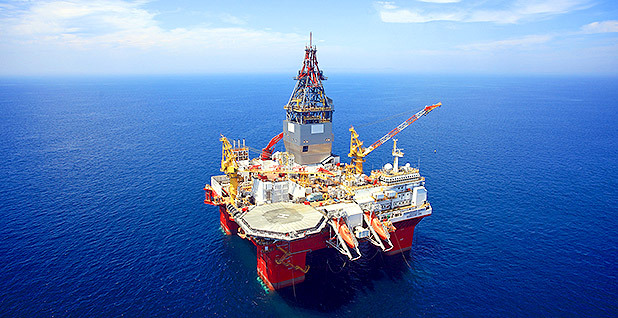 Gulf of Mexico Lease Sale 250 drew almost $125 million in high bids from 33 companies vying for drilling positions across 77 million acres. Of the 14,431 blocks offered for lease, 148 received bids. That echoes the relatively light interest in the Bureau of Ocean Energy Management's August lease sale, which collected more than $121 million in high bids from 27 companies staking claims in nearly the same amount of acreage. In that sale, of over 14,000 blocks, companies submitted bids for 90 (Greenwire, Aug. 16, 2017). Today's highest bid was about $7 million from a U.S. subsidiary of the French oil major Total SA. The same firm submitted the high bid — $12 million — during the August lease sale. "What you see is continued consistent investment in the Gulf of Mexico," said Mike Celata, regional director for BOEM's Gulf of Mexico region. He said Gulf production is expected to continue to grow over the next six years. Zinke at a budget hearing on Capitol Hill last week had touted today's sale. "The Gulf has advantages, as opposed to both the East and West coasts," Zinke said during an exchange with Sen. Bill Cassidy (R-La.). "I think this lease sale will be a bellwether on offshore, probably the next 10 years." Zinke may also accept a recommendation by his Royalty Policy Committee to drop royalty rates on deepwater drilling from 18.75 percent to 12.5 percent. Under his leadership, BOEM has cut royalty rates to that level for shallow-water leases. Environmental groups and taxpayer advocates have slammed the Trump administration's priority of relieving burdens for the energy industry. "Ryan Zinke has been falling all over himself to recklessly give our public lands and waters away to corporate polluters," Athan Manuel, director of the Sierra Club's lands protection program, said in a statement. "The lack of interest at today's lease sale should make it clear to Zinke that he must scrap his ill-advised offshore drilling plan and protect America's public lands and waters." The Louisiana Mid-Continent Oil and Gas Association said it supported the royalty rate reduction and said the sale should serve as an indicator of industry interest. "The immense size of today's lease sale clearly reflects our nation's new commitment to not merely be energy independent, but to be a dominant producer of oil and gas on a global scale," Chris John, president of the trade group, said in a statement. Today's auction was the second conducted under BOEM's current five-year offshore leasing program, which covers 2017 to 2022. It was also the second conducted on a regionwide basis, combining the Gulf's western, central and eastern regions into one sale. "We need at least another sale, and then we can look at it on a yearly basis," BOEM's Celata said. The bureau's next auction is tentatively scheduled for August.